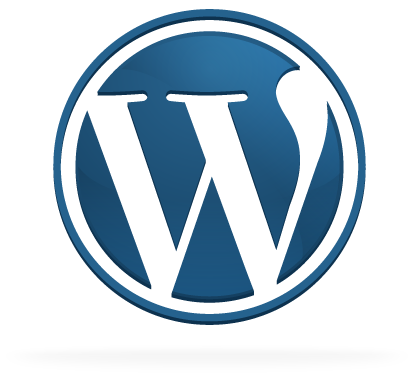 Wordpress stores a backup or previous copy of your posts called a revision. Each time you click Save Update or Draft, a new revision is stored in the database. They allow you to check a recent change you’ve made and revert to an earlier version should you need to do so. Some people like this feature, others do not have the need to store so many of them. They can cause clutter and waste database resources as they pile up. 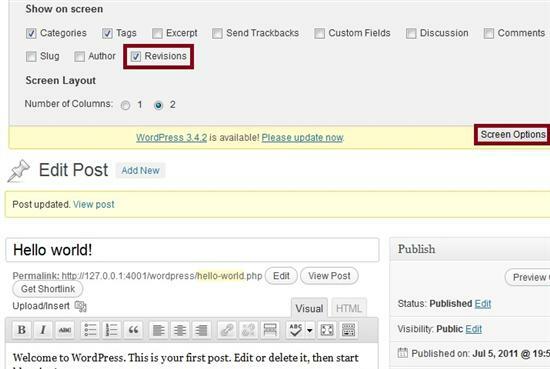 You might not even be aware that your WordPress site is storing different revisions of your posts and pages until you enable or activate it in screen options. By default the option to see them is hidden. To make them visible you would simply edit one of your blog posts, and then find the “Screen Options” link/button near the top right of the page. Tick or check the “Revisions” box to make them visible. Keep in mind you will not see or have the ability to do so until you have more than one update or change. Depending on how many changes or updates you have made to a given post you may see two, three, or you may see 10. If you happen to have upwards of ten per post they can consume a lot of additional database space. If you have published 100 blog posts and each of them had 10 different revisions, then that would mean 1000 total entries stored in your database. Now imagine if you have 1000 or more blog posts x 10 of them. 1. 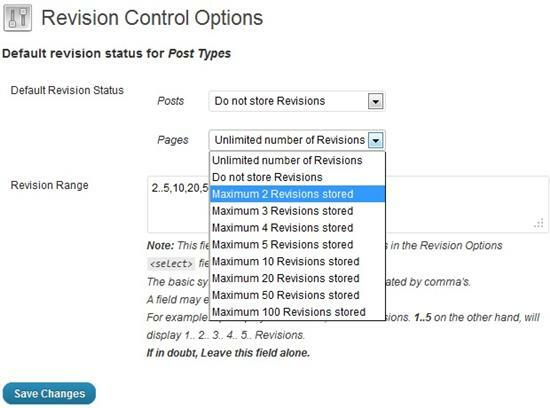 You can reduce the number of revisions that WordPress saves. Maybe you would rather save only 3 to 5. 2. You can turn them off / disable them completely. Maybe you would rather not save any. For those of you that like them you could actually increase the number that is saved. How do you change the number of revisions WordPress saves? Download, install, and activate the Revision Control plugin just like you would any other plugin. Select the desired number to save for Posts and Pages and be sure to click the “Save Changes” button. As you can see you will have several different options available from: “Do not store Revisions” (disabled), all the way up to an unlimited amount. Now if you go back and edit a blog post you can delete them. If you turn off or disable revisions it doesn’t delete the ones already stored in the database. However, once they are disabled new ones will not be saved and they will no longer continue piling up in future posts. You can remove the old ones with the Revision Control Plugin mentioned earlier. If you are brave and know what you are doing you could also run a database query that will remove the old revision entries from the database. However, this wouldn’t be my first choice if you are fairly new to WordPress, web hosting, or database maintenance. Thanks for the tips, im forever deleting post revisions, this will save me some time. I’m using a post revision plugin and setting the number of revisions to 3. Every month or so, I use WP-Optimize and delete all the revisions (after saving a db backup). I’d love to have “real” revision history, implemented by storing diffs instead of whole posts, not gonna hold my breath. 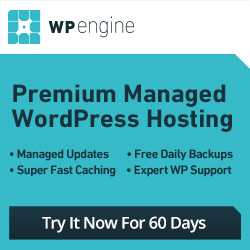 This is a great plugin if you have a lot of WordPress blogs installed on your hosting acccount. Every way to save storage space and memory, to prevent a slow loading database is something to take seriously. X is the number of revisions per post. 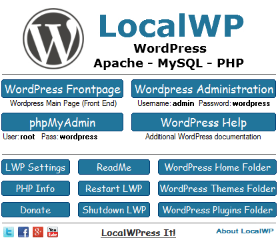 I love WP for the reason that it is so user friendly and offer so many features. Thanks for this great guide. I was not aware that this could be done. From someone like me who’s still learning the ropes, this has been most helpful. I always find myself having several drafts before finalizing my posts so I’m sure this plugin will work to my advantage. Thanks and More Power! I’m a bit confused as to why you would want to reduce this number. WordPress stores the revision on its site, right? So how is this going to affect the resources on my own computer? It won’t affect your own computer unless you happen to be hosting your site on your local pc. It basically wastes database space. The thing I might compare it to is if you had word document saved on your local pc and made 10 different changes to it, rather than over-writing the changes to one single file you would save each different change. Such as 1.doc, 2.doc, 3.doc, and so on. It is sort of a waste to have so many different changes saved when 1 or maybe 2 is sufficient for most people. It kind of adds clutter. Ah, nice. Very helpful. You, my friend, are a WordPress Guru. Post Revision doesn’t seems helpful for me. I was just searching to limit it. I think it increases size of our database too. Great tip! Didn’t realize this was happening on the back end. This could definitely save me some space in my database for sure. WordPress is so complex and has so many little buttons and settings.